South Florida Pediatric Otolaryngology is made up of a team of professionals dedicated to providing the best quality healthcare in a responsive and caring environment. Our otolaryngologists are all Board certified with decades of experience in the profession. They work in concert with nurses and office staff who try to understand your health issues quickly and apply the right treatment to get you back to your optimal health. Dr. Zeiders received his Medical Degree from the Royal College of Surgeons in Dublin, Ireland. His General Surgery Internship and Otolaryngology Residency were completed at the University of South Florida in Tampa, Florida. Dr. Zeiders went on to obtain additional fellowship training in Pediatric Otolaryngology at All Children’s Hospital in St. Petersburg, FL. Dr. Zeiders is certified by the American Board of Otolaryngology. Skilled in all facets of Otolaryngology, Dr. Zeiders provides evaluation and treatment for disorders of the ears, nose, and throat to patients under eighteen (18) years of age. 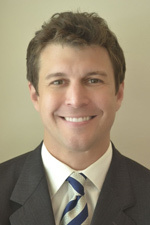 Dr. Zeiders currently serves as a Clinical Assistant Professor at the Florida State University College of Medicine, Fort Pierce Regional Campus.